Cast iron membrane clamps bolt to both roof and overflow drains. Designed with their own flashing skirt. 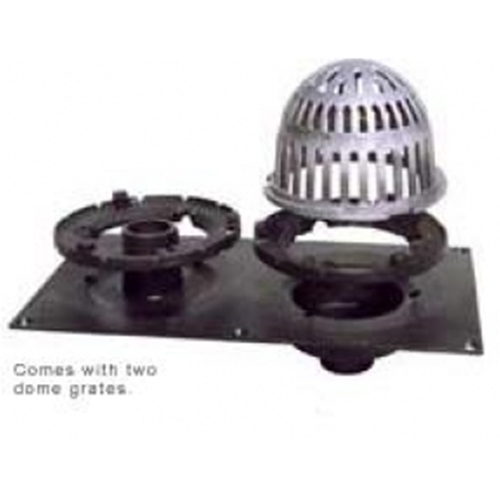 Aluminum dome grate standard with cast iron drains. Dual membrane clamps provide a watertight bond. Dimensions: Drain / Flange: 19-1/4" x 10-1/2". Drain Basin: 5-1/2". Overflow grate included.